Vancouver artist Germaine Koh contributes to the current housing discourse through her exploration of small-scale dwellings and “social sculptures” in her solo exhibition Home Made Home. 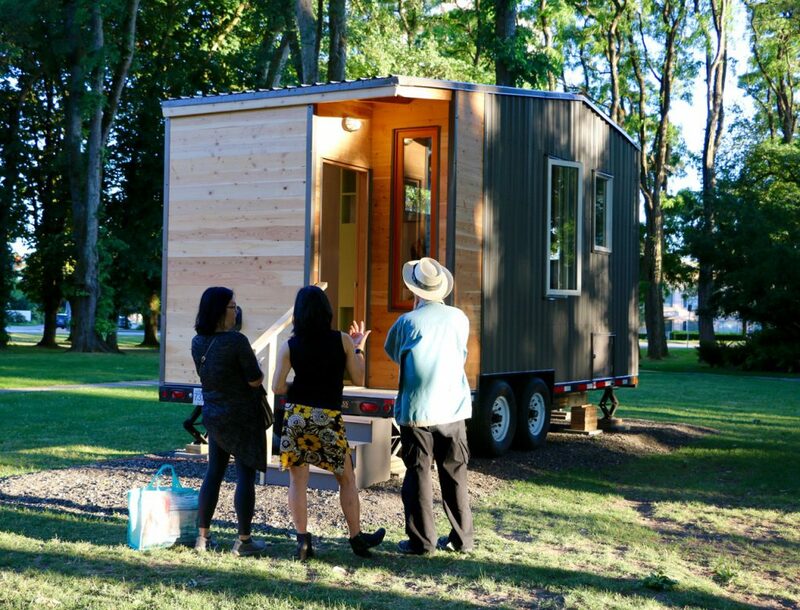 Koh’s newest construction, Home Made Home: Lululiving, is a 160 square foot house on wheels temporarily located outside the Richmond Cultural Centre. A fully functioning small home, it becomes a platform for public dialogue on the locally and globally relevant issues of housing and accessibility. Within the exhibition, Koh contextualizes Lululiving with references to earlier vernacular housing forms and contemporary examples of dwellings by builders, activists, and designers. Germaine Koh is a Canadian visual artist based in Vancouver. Her conceptually-generated work is concerned with the significance of everyday actions, familiar objects and common places. Her exhibition history includes the BALTIC Centre (Newcastle), De Appel (Amsterdam), Musée d’art contemporain de Montréal, Para/Site Art Space (Hong Kong), Frankfurter Kunstverein, Bloomberg SPACE (London), The Power Plant (Toronto), Seoul Museum of Art, Artspace (Sydney), The British Museum (London), the Contemporary Art Gallery (Vancouver), Plug In ICA (Winnipeg), Art Gallery of Ontario (Toronto), and the Liverpool, Sydney and Montréal biennials. Koh was a recipient of the 2010 VIVA Award, and a finalist for the 2004 Sobey Art Award. Formerly an Assistant Curator of Contemporary Art at the National Gallery of Canada, she is also an independent curator and partner in the independent record label weewerk. Above: Germaine Koh, Home Made Home: Lululiving, 160 sq. ft. wood-frame structure. 2018. Photo by Melanie Devoy.